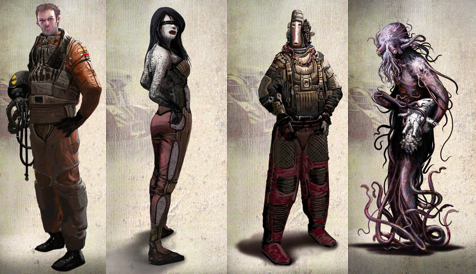 The Ujitos system: A tiny inhospitable planet and an erratic asteroid field – the Lost Swarm – orbit a deadly red star. No riches, no precious minerals. Ujitos has no strategic value whatsoever, not for the Federarchy, neither for the Astrocracy, nor for the Umpyrius. Yet, some shuttle racing organizers full of initiative stage competitions in this rocky no man’s land. And recently, Maryius Valentinus, a mega-rich entrepreneur has taken over Ujitos. The most dangerous, ferocious, twisted and prestigious race against death of the Independents Circuit is born… Six of the thirty top pilots are ready to partake to this intense and ruthless race with just one goal: win at all costs! Asteroyds is a multi-mode game. Several game modes are available such as racing, targets, drone hunting and all the variations and rules that you wish to make up yourself! This game is yours to develop. Finally, don’t hesitate to arrange the scenarios differently to what is suggested, or even to remove some asteroids if you think the game is too difficult! 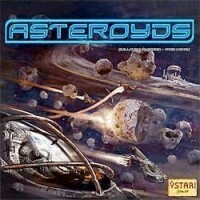 Add a Review for "Asteroyds"